As a marketing and communications specialist, Amanda Arens helps manage the strategic direction and execution of First Light’s brand, Web, marketing and media relations initiatives. She also is a principal of the firm. 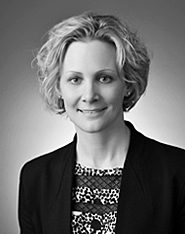 Prior to her work at First Light, Arens was a partner at Haberman, a Minneapolis-based integrated marketing firm. During her 10 years at Haberman, she served in a variety of roles, including leading the internal operations group; co-managing the business-to-business practice area; and overseeing client accounts in the health care, financial services and high technology industries. Earlier in her career, Arens worked for Minneapolis/St. Paul Business Journal and Corporate Report Minnesota. She holds a bachelor of arts degree in English from Cornell College.